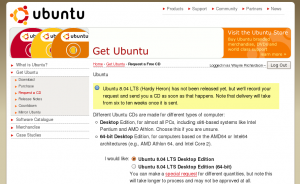 Shipit now accepting orders for Ubuntu Hardy Heron 8.04 LTS! 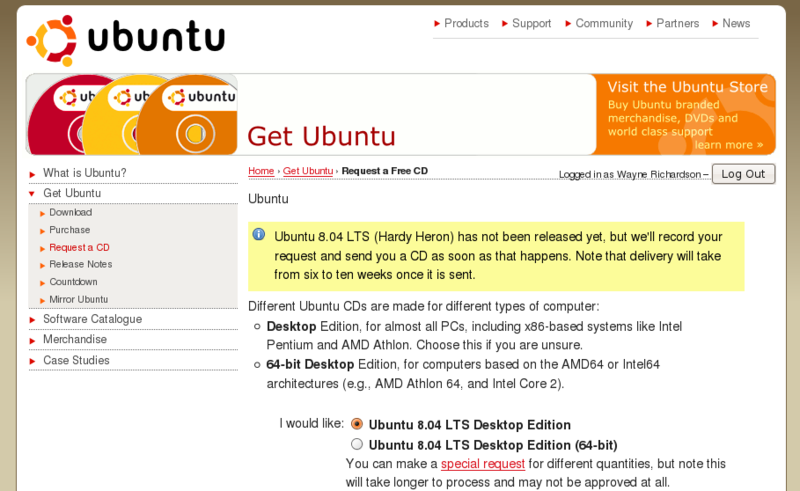 This might be old news to some folks, but for those of you who want to get a “real” pressed CD, Shipit has been offering to ship CDs of the still unreleased Ubuntu Hardy Heron 8.04 when it is available. Highly recommended for the Ubuntu fan. Sign up for one now before the rush — I did! If you’re looking for Ubuntu schwag, head on over to the Ubuntu Store and check out the really slick items for sale. I’m not quite sure why someone would need a stress ball with an Ubuntu logo, maybe it’s for Steve Balmer or something. While you’re at it, feel free to donate to Ubuntu and designate what the funds should be used for. Hardy hasn’t been announced yet as I write this, but I’m planning on doing some really in-depth statistical analysis of various things relating to the LTS distribution and “chatter” before, during and after the release – this should be REALLY interesting once it is completed. Also, the gOS MyMiniPC review unit arrived… it’s really tiny. Super tiny… it’s about the size of a Wii and is surprisingly light, I can’t believe Everex fit a Core2Duo in there. I’ll be doing a review probably this weekend when I have some time… I’m really busy working on that “secret project” I occasionally mention – I promise it’s gonna be good.